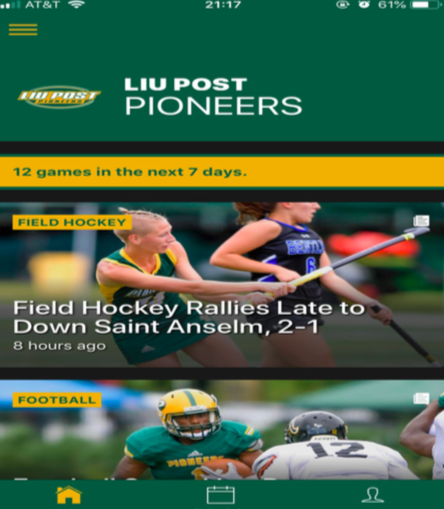 Unless you’re a diehard Pioneer athletics fan, you wouldn’t be aware of the app available for the Pioneer community to follow their favorite sports teams. 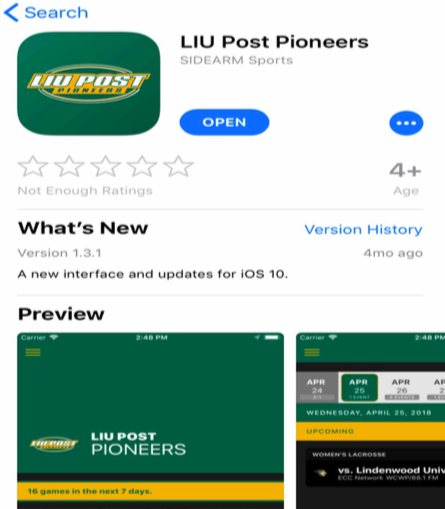 Available on both android and iOS, the LIU Post Pioneers app was updated summer 2018 with a new design and more personalized features. These changes came with the arrival of new director of athletic media relations, Casey Schermick, spring 2018. There was a massive revamp to the sports social media in January 2018. “I wanted to put my own spin on things,” Schermick said. His intentions were to give each sport more equal coverage and the updates to the app are the latest efforts in achieving this goal. 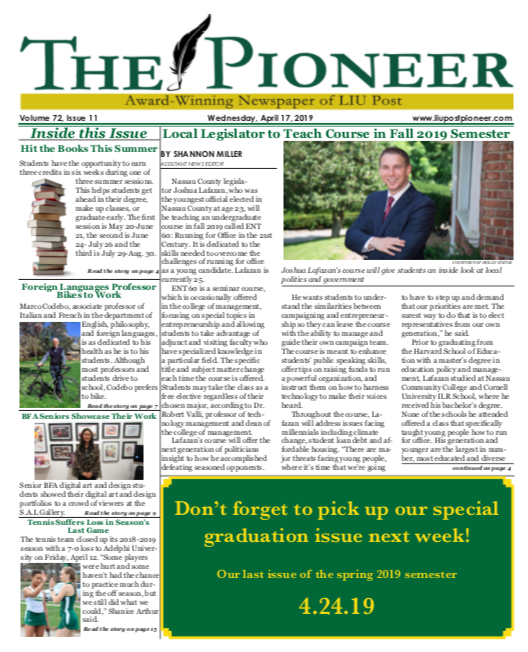 With its new look and user friendly nature, students, athletes and even their eying rivals are able to track all the Pioneers’ successes. “It’s got all the schedules, notifications, links to the stats, the videos, the results and everything all in one place,” Schermick said. The app has great popularity among the athletic community, as they track their own game stats, and cheer on their fellow Pioneers. Swim team alumna Elin Kvarnemar raved about the updates to the app. “It’s great, having the notifications was always good, but now I can select the events I want to follow and follow the live score boards even though I’m miles away,” Kvarnemar said.